A collection of exquisite living spaces set in the heart of Toronto’s famed Yorkville, this prestigious two-tower complex sits at 55 Scollard St. and 50 Yorkville Ave. A mixed-use development, The Four Seasons Private Residences house a five-star hotel as well as luxury Toronto condos, with every suite offering panoramic city views – a rare find! These luxury suites evoke a modern, yet classic feel that’s very much in keeping with this upscale neighbourhood. The West Tower: The 52-storey west tower encompasses a new Four Seasons Hotel on the first 20 floors, with one hundred private residences atop that. Residents of The Four Seasons condos have a private entrance and lobby separate from the hotel on Yorkville Avenue. The East Tower: The east tower companion building rises to 26 stories and is home to one hundred private residences. This residential-only building has a separate entrance and lobby on Scollard Street. 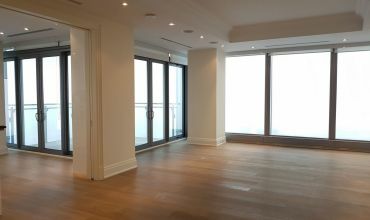 Residents of the east tower can access all the hotel’s amenities, including the spa and fitness centre located in the west tower via an elevated pedestrian bridge on the 9th floor at 55 Scollard. Offering 55 storeys of landmark luxury, the West Residence will feature Private Residences set atop the Four Seasons Hotel Toronto. Residents will enjoy a pampered lifestyle, with all the luxurious amenities of the Hotel at their doorstep, including 24-hour concierge, doorman, valet parking, a chic bar, restaurant, banquet and ballroom facilities, and the Four Seasons spa. The spectacular 28,000 sf spa features a sky lit indoor lap pool, whirlpools, an outdoor summer terrace, private treatment rooms and a state-of-the-art fitness club. Residents of these twin towers can enjoy the lushness of the shared courtyard park, valet parking, room service and housekeeping services – not to mention the ballroom facilities! 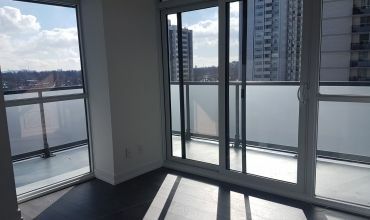 Suite sizes and features: These Toronto condos house a maximum of four suites per floor, with suite sizes that start at 1,956 square feet to the penthouses of 9,038 square feet. 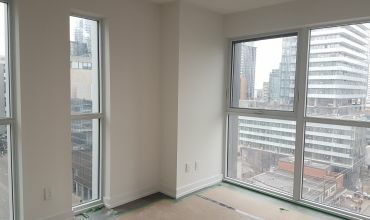 Suites in both towers boast a wide array of great features, including expansive terraces, gas fireplaces, minimum 10-ft. ceilings and cornice mouldings. A historic, charming neighbourhood: Toronto’s most elite neighbourhood, the celebrated Yorkville is home to antique shops, designer boutiques, fashionable restaurants and world-renowned art galleries. Fine dining: The west tower also has two restaurants: Dbar, a cocktail lounge and Café Boulud, which offers more formal dining. Residents of these upscale suites can enjoy Yorkville’s array of trendy restaurants, nightclubs, cinemas and boutique shops.